Debbie's Creative Spot: FREE Shipping from Stampin' Up! Woo Hoo! 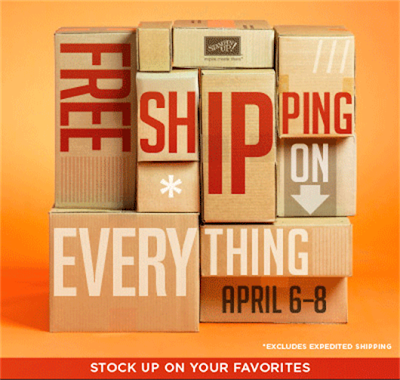 Free shipping on any order until Monday April 8. Place an order online yourself - email me for a hostess code so that your name will be put in a drawing for free hostess benefits, or email me your order by Monday April 8, 8pm. 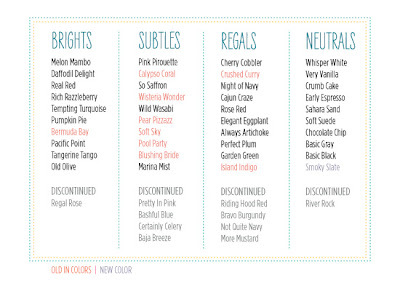 Now is a good time to stock up on colors that are being discontinued. Stampin' Up! is doing a Color Refresh starting with the new 2013-2014 Catalog. New colors are listed below as well as those that are being discontinued. I am excited for the Color Refresh myself. Be sure to order the discontinued colors now while supplies last. Click on the picture below to view larger.